Aussie Divers Phuket are Thailand’s only Scubapro Display Centre, along with being Thailand distribution agents for Stream2Sea Reef Safe Sunscreen, Frog Spit Antifog and Orca Torches. We have a large range of Equipment on display and ready for you to dive with, if there is anything you need for your PADI IDC or IE we will have it in stock, if we don’t have it in stock we will be able to get it for you in no time. Speak to our friendly staff about the special IDC pro equipment packages, we can tailor an instructor gear package specifically to your needs. 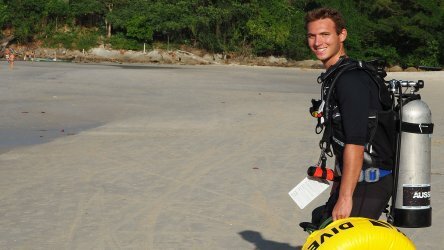 Trusting the dive equipment you are using is very important, especially during you PADI IDC & IE program. 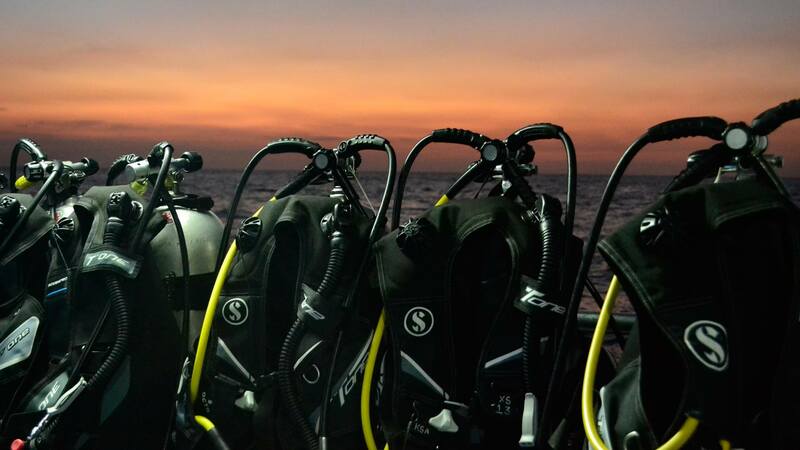 This is why Aussie Divers Phuket has invested in top quality Scubapro rental equipment. Scubapro is one of the leading companies in the dive industry worldwide, there equipment is simple, rugged and reliable. 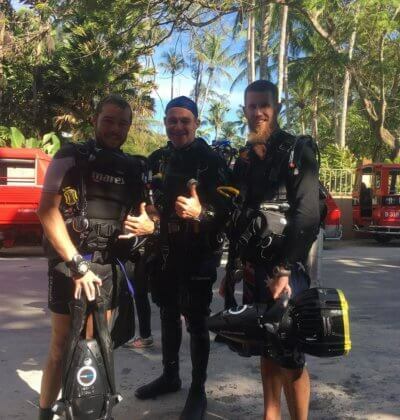 At Aussie Divers Phuket we are committed to having the latest Scubapro equipment available for rental, serviced at least annually, in order to maintain Scubapro’s high level of performance for relaxed and enjoyable diving experiences any time of the year. Q: Can I use my own equipment? A: Yes. 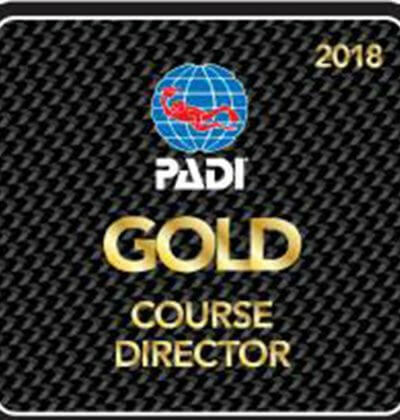 You need to be familiar with it though and it needs to 100% meet the PADI equipment standards requirements for an IDC candidate, if not you will need to use Aussie Divers equipment. Q: Do I get free rental equipment with an IDC package? A: Yes. You get free rental of our shop equipment over the course of your IDC and Specialty Instructor Training. 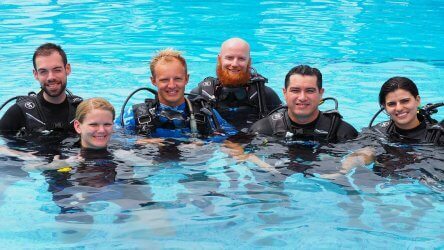 You do not get free equipment rental for scuba diving activities outside of IDC or Specialty training that would be considered fun diving. 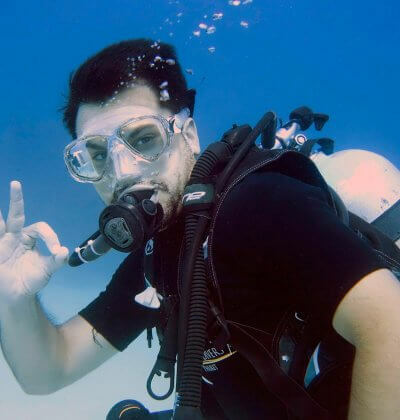 Q: How much is it to rent a full set of scuba equipment for the day? A: Renting a full set of scuba equipment from Aussie Divers will set you back 500 THB per day. So if you plan on doing a lot of diving after graduation, it’s high time to buy your own equipment! If you require any further equipment we have everything for sale in the shop, including, surface marker buoys, reels, clips and other necessary equipment. Q: What is the best equipment? A: It’s hard to tell sometimes but at Aussie Divers Phuket we rely almost entirely on the quality and robustness of Scubapro diving equipment. Scubapro make gear that lasts for an exceptionally long time and is reliable, this is what you need when teaching or diving every day! Q: Is there any special equipment I need for the IDC? A: Yes. Please see the IDC Pre-requisites page for a list of REQUIRED scuba diving equipment that you will need to have with you or purchase during your IDC to become a PADI instructor.